Experience a 5-night/6-day program, or enjoy our Snapshot 3-night/4-day program, during which enthusiastic instructors will make your stay in Historic Gettysburg a memorable one. Enjoy classroom lectures and exciting field trips, as well as entertaining and educational activities! Activities include courses on “Three Days In July 1863: The Battle of Gettysburg,” Abraham Lincoln, the Eisenhowers, Pickett’s Charge, the Southern Perspective, as well as charter trips to Harper’s Ferry and Antietam, just to name a few. 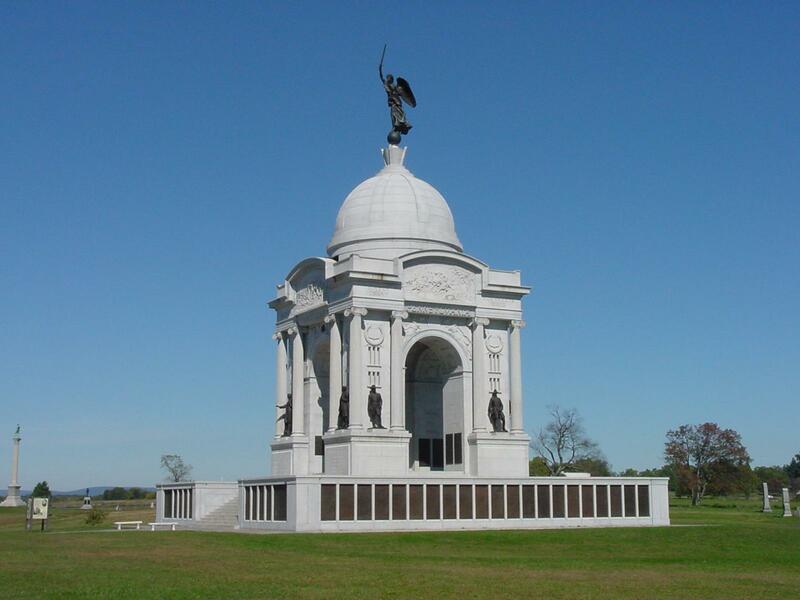 Depending on the program week you select, you may experience a walking tour of the town, a visit to the Eisenhower National Historic Site, the Soldiers National Cemetery, and “on-the-field” programs with the Gettysburg National Military Park Rangers. Visit the new Gettysburg National Military Park Visitors Center and Museum for an overview of the Battle. As you learn about each day of the Battle of Gettysburg, in a chronological presentation, you will visit the site of that day’s battle. We look forward to meeting you and wish you the very best of experiences here!